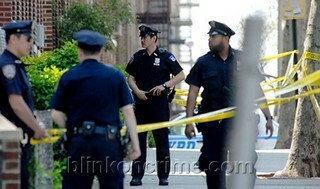 Queens, NY– Police are scouring the scene for clues in a 43rdSt Queens apartment Michelle Lee, 24, shared with her roommate who is also a criminalist for the NYPD. Lee’s roommate was out of town last weekend until Sunday evening and upon her return she assumed Lee was asleep. On Monday morning, her roommate stumbled upon the grisly scene. Lee was tied to the bed, had a burned imprint from an iron on her stomach, multiple stab wounds, a cell phone charger cord around her kneck and a stab wound to the kneck; with the knife protruding. Milenko Mihat, Lee’s landlord, said upon finding Michelle’s lifeless body Monday, the roommate ran screaming down the stairs.. “She’s dead in the bed, She’s dead in the bed!…” “It was just terrible,” Mihat said. Both Lee and her roommate are graduates of John Jay College of Criminal Justice. Lee was a specialist in narcotics testing. 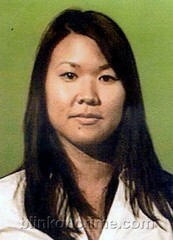 Police say Lee’s roommate is not a suspect, and have requested her identity be withheld at her request. NYPD detectives are interested in speaking to a few of Ms. Lee’s former boyfriend’s, including one that has been diagnosed with terminal cancer.